Dunstan Crew (L-R): Hayden Smith, Zoie Gray, Sarah Swarbrick, Robyn Hirst and Gretel Webber. Absent: Kristie Hill. Dunstan Crew (L-R): Hayden Smith, Zoie Gray, Sarah Swarbrick, Robyn Hirst and Gretel Webber.Absent: Kristie Hill. 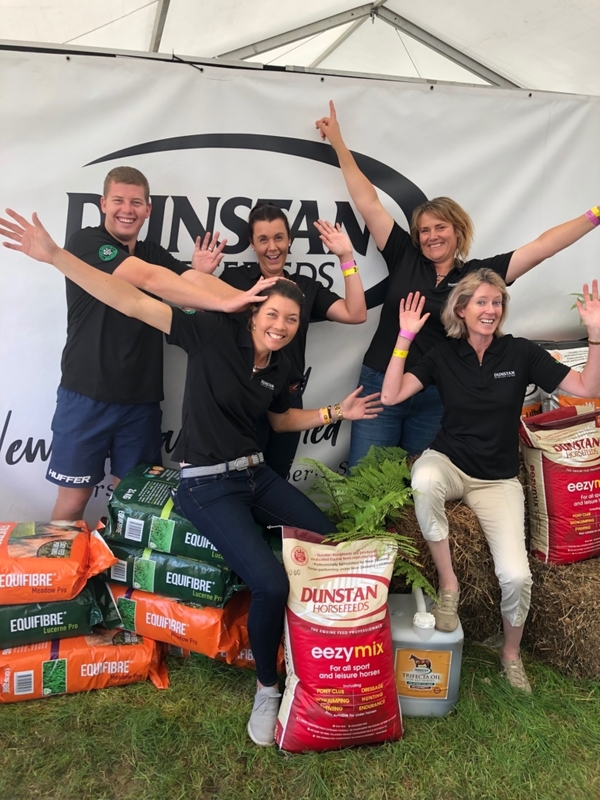 There’s a presence about Dunstan Horsefeeds that underlines the six pillars that drive the culture of this very Kiwi Company, and it is all about excellence. As the nation’s market leader in equine nutrition, privately-owned Dunstan Horsefeeds is built on integrity, trust, expertise, respect, quality and service. Dunstan works right across the Equestrian Industry – from grass roots Pony Club through to Studs preparing Yearlings for multi-million-dollar sales and on to the race track, as well as at top level of competition in all equine disciplines. Dunstan’s Equine Nutritionist Gretel Webber says Dunstan’s biggest point of difference is that all their product is made in equine-safe feedmills based in the Waikato. Dunstan uses only New Zealand grown grains in their formulations thereby supporting the New Zealand Arable sector. Gretel has more than 20 years’ experience in the animal feed industry and it is she who keeps the Company at the leading edge of equine nutrition. Dunstan has four Territory Managers – each of them involved in their own equestrian pursuits – who can advise clients on the best product to suit their horses. Dunstan’s equine nutrition software package ensures balanced diets for optimum performance can be tailored to individual client needs. Dunstan has the sole distribution rights in New Zealand for the Equifibre range of ensiled Lucerne (Equifibre Lucerne Pro), and ensiled meadow grasses (Equifibre Meadow Pro). 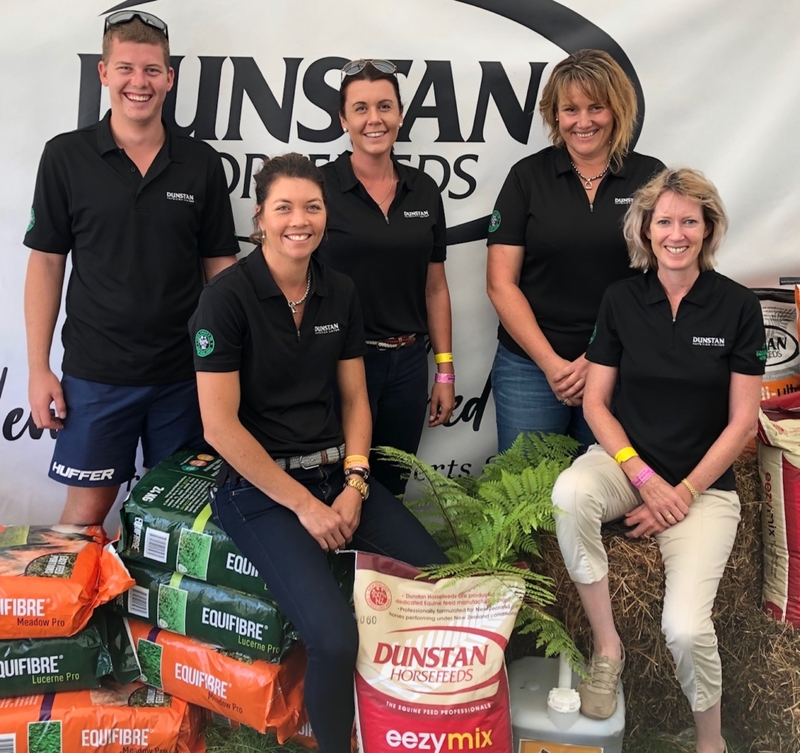 Dunstan’s new products to market in recent months include Dunstan Old Horse® for aging horses and Equifibre® Meadow Pro for horses which need a fibre source that isn’t lucerne based. Delivery of Dunstan and Equifibre products can be arranged nationwide with a minimum order of 400kgs. Dunstan also has a number of sponsored riders who come from many different equestrian disciplines. Campbell knows that they have all the right people in all the right places. “The passion and commitment from everyone who works at Dunstan and from our team of sponsored riders is extraordinary,” says Campbell. Dunstan was created in 1986 with co-founder David Smith still actively involved in the business. The Company has always had an eye to innovation, ongoing research and a strong commitment to quality and service.